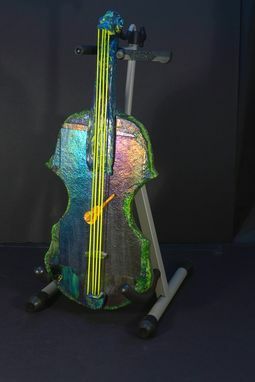 "Green Apple Irid Violin": Description: Glass violin sculpture, green and blue irid glass, with lime green glass strings, and a gold epoxy Violin under the strings (including stand). Approximately 7 in. wide X 19.5 in. tall X 1.5 in. thick.